"God grant me the serenity to accept the things I cannot change; courage to change the things I can; and wisdom to know the difference." 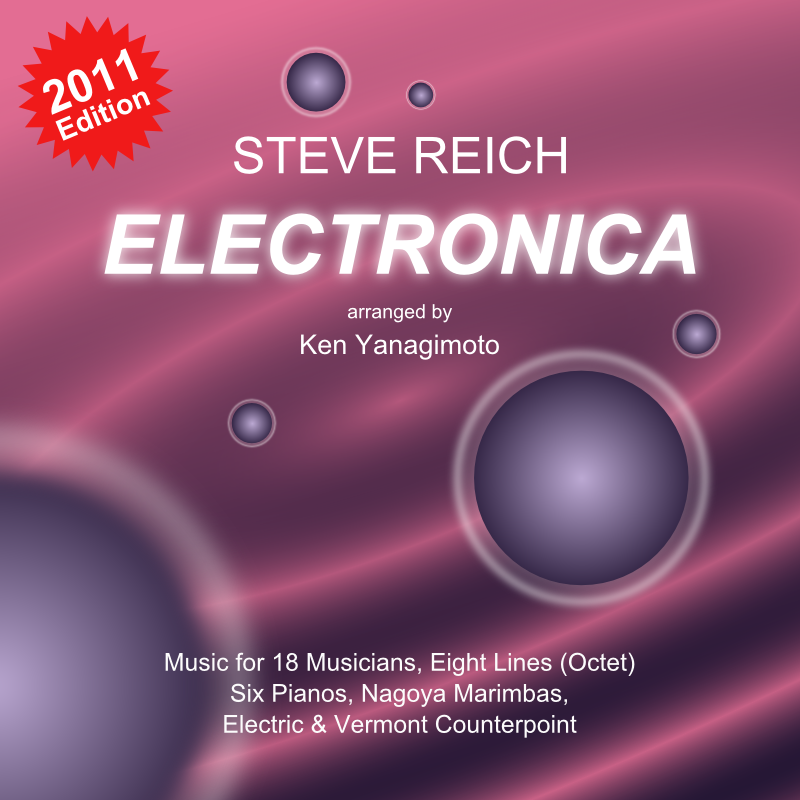 Sat, December 24, 2011: Public release of "Steve Reich Electronica" under Creative Commons BY-NC. 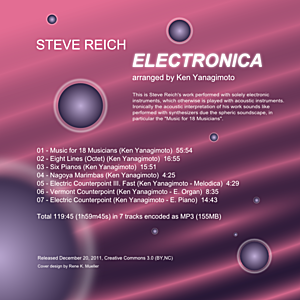 This is Steve Reich's work performed with solely electronic instruments, which otherwise is played with acoustic instruments. Ironically the acoustic interpretation of his work sounds like performed with synthesizers due the spheric soundscape, in particular the "Music for 18 Musicians". My deep thanks to Ken Yanagimoto for allowing me to compile his work and release it publically under CC-BY-NC.